Thoreau praised the life of individual communion with nature over the citified life of capitalism. For those who have read any of my philosophy posts, you'll know immediately that this was my kind of guy. And I couldn't really knock him for not earning his keep; after all, if that was a rule for excluding philosophers the book wouldn't be more than a few pages long! 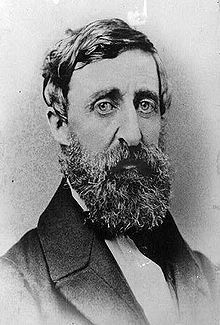 Thoreau's largest impact to history was his essay Civil Disobedience. He advocated peaceful disobedience as a means of achieving reform of laws he didn't find just, it inspired both Ghandi and King. Not a bad Legacy at all. Thoreau and Emerson were part of a brief movement called Transcendentalism. They were optimists, convinced of the inherent goodness of human nature and positive about the future of our race.They advocated social reform like the abolishment of slavery and female suffrage, and were active slavery opponents in the build-up to the Civil War. But what I find even more interesting is that they had a strong mystical side, emphasizing humanity's union with nature and the importance of intuition over logic. 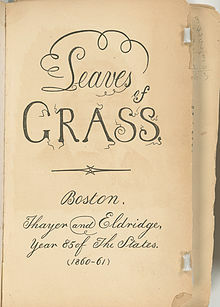 Thoreau was a fan of the amazing Bhagavad Gita, which I will post about soon. They were my people, and I wouldn't have hesitated if Emerson said I could have the hut next door to Thoreau. I'm sure it comes with room service. It is a common story, the man who left the church after realizing that the answers he found there somehow didn't satisfy his thirst for the Truth. And that is the story of Emerson, a former minister. He said forget it. Organized religion, he concluded, was a poor substitute for direct religious experience. Now, one could easily say "Wait a minute ... that's exactly what Martin Luther said over 300 years ago. And Luther just started a new church that over the years has become almost as layered in ceremony as the old one. The difference is this: Emerson said direct religious experience isn't found sitting on your knees at home with a Bible. Its found outside. It was available for everyone ... wait for it ... in the contemplation of nature. 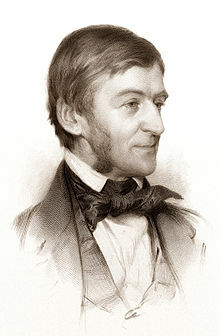 Emerson was the heir to a long line of people who Got It Right. (I wrote this back in Philippines.) At this moment, a little tropical squall is passing over my tiny island. The soothing breeze has cooled down the bar and sent the mozzies running for cover. The raindrops are mesmerizing as they hit the glassy blue-green water, each creating its tiny set of ripples, all overlapping, a patchwork of energy. Each could represent a person, each of the tiny ripples that person's wake as they pass through the world. The ocean is a mirror on life. The palm tree leaves swish, the rain patters on the thatched roof of the hut. There's no place I'd rather be. Emerson and Thoreau were right: to feel truly connected, one must first disconnect.